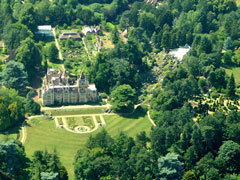 An aerial view of Friar Park taken from a light aircraft in summer 2006. 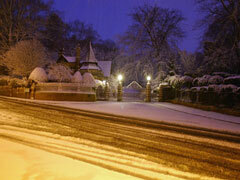 You can buy a print of this photo of Friar Park for only £9.99 (including UK delivery). 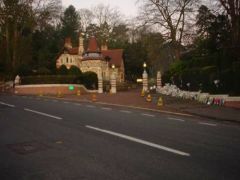 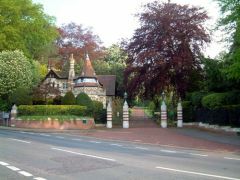 The main entrance to Friar Park on Gravel Hill. 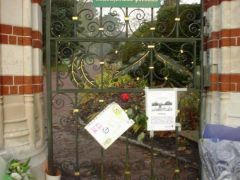 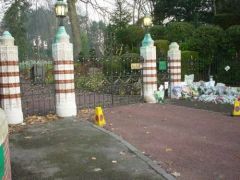 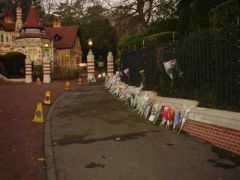 One of many tributes laid by the entrance to Friar Park in memory of George Harrison. 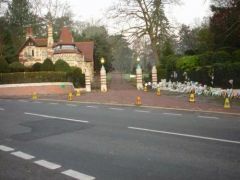 The entrance to the Friar Park estate. 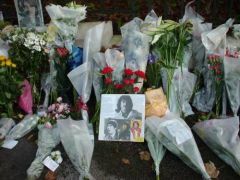 To the right can be seen the numerous flowers placed as a tribute to the former Beatle. 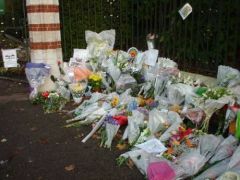 Flowers and tributes piled up outside the main gates Friar Park in memory of George Harrison. 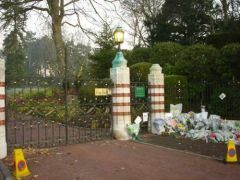 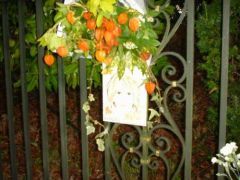 A tribute to George Harrison hung on the fence surrounding Friar Park.